The Indian Space Research Organisation is upbeat over its ‘moon’ mission. In December next year, the space agency is all set to launch a spacecraft housing two ‘private’ rovers (a space exploration vehicle) atop a Polar Satellite Launch Vehicle (PSLV). Interestingly, ISRO bagged the commercial launch contract just when it’s own Chandrayaan-2 mission, a second shot to the moon, is gaining pace with the beginning of landing experiments inside the ‘Science City’ in Chitradurga. Bengaluru-based firm TeamIndus will be attempting to become the first Indian private entity to land on the moon by deploying its own rover ECA. 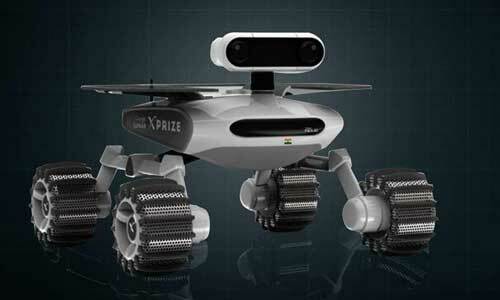 This rover will be competing in the $30 million Lunar XPrize, sponsored by Google. The landing site for TeamIndus is Mare Imbrium, the large plain visible to the naked eye on the top left of the moon. The second rover will be developed by Japanese firm Hakuto. K Sivan, Director of Vikram Sarabhai Space Centre (VSSC), Thiruvananthapuram, told Express that the space agency is up for the challenge. “ISRO always wanted the Indian private industry to take an active part in the space explorations mission. It’s a very good initiative and we wish TeamIndus all success. However, ISRO’s role in the mission is limited to providing launch services and the rest is the sole responsibility of the private firm. For us, it’s like any other satellite. Having successfully carried out the Chandrayaan-1 mission in 2008, the PSLV is fully capable of pulling off this mission as well,” he said. However, certain key interface systems like mechanical, electrical and radio systems would be analysed to ensure the rocket and satellite support the overall mission, he said. Sivan said VSSC would design and develop the PSLV. ISRO Inertial Systems Unit at Thiruvananthapuram would develop the inertial systems for the vehicle. Liquid Propulsion Systems Centre, also at Thiruvananthapuram, would develop the liquid propulsion stages for the second and fourth stages of the PSLV. On the Chandrayaan-2, the official said the project was progressing at a good pace and several systems were at the developmental stage. The mission consists of an orbiter, lander and rover configuration. It is planned to be launched as a composite stack by GSLV-Mk II tentatively by early 2018. The scientific payloads onboard are expected to perform elemental studies of the lunar surface. In 2010, it was agreed that the Russian Space Agency ROSCOSMOS would be responsible for the lunar lander and ISRO responsible for orbiter and rover as well as a launch by GSLV. However, it was later decided that the lunar lander would be developed by ISRO and Chandrayaan-2, making it an entirely Indian mission.